If there was one thing that Jacob Zuma’s brief court appearance last week taught us, it is that we haven’t seen the end of the Zuma faction yet. Flanked by the ever loyal Carl Niehaus, our former president was as defiant as always, "Umshini Wam-ing" outside the court with the same enthusiasm as a couple of years ago. There is no doubt that he will use these court appearances to mobilise support for himself and to put pressure on the NPA to drop the charges. However, there is undoubtedly also a broader, longer term political vision behind these mobilisations. I have no doubt that Zuma and a faction of those who supported him in the past have not resigned themselves to the new order under Cyril Ramaphosa. Rumour has it that following the Nasrec conference in December, Zuma met with some of his key supporters and organisers in KwaZulu-Natal (KZN). He was apparently furious about the outcome of the conference. I was told that he accused those present of laziness and that they did not deliver on their promises to him. He also apparently suggested that he had made a mistake by throwing his weight in behind Nkosazana Dlamini-Zuma. According to those who were there he claimed that his biggest error was not to run himself. Of course, not long after, one of Zuma’s biggest supporters, ANC secretary general Ace Magashule, announced in Msunduzi at a Youth League Forum, that "we will take the ANC back". It doesn’t take a genius to figure out who "we" are and who they are taking the ANC back from. 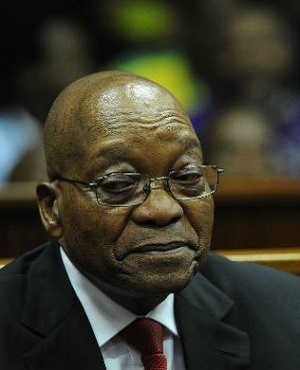 It seems that ex-president Zuma is also not resigning himself to a quiet retirement in Nkandla. Unlike his predecessors, he has become something of a regular at NEC meetings and he is not hiding in the back like in the immediate aftermath of his resignation. I am told that he sits in front and doesn’t hesitate to talk. At the last NEC meeting he stayed for two full days. How is that for not-so-subtle intimidation of those who want to bring big changes to the ANC? It did not stop there. He also took part in the voter registration drive of the ANC a few weekends ago. He attended the opening of the KZN provincial legislature with great fanfare and has attended a number of church services where he lamented the fact that people are after him. Every time his handlers ensured that members of the press were there. Over Easter he even attended the same church service as Ramaphosa in Esikhaleni in northern KZN. I don’t believe either of them were too happy about sharing the platform, but interestingly, while addressing the congregation Zuma seemed to attribute some blame on Ramaphosa. "It was surprising that even though we know each other really well, having served in the same political organisation, we didn’t agree that we were both going to this church this weekend," he told the congregation. He then wondered if Ramaphosa "just had this gut feeling that he must come here on his own accord". Which begs the question: Did he (Zuma) consult with Thabo Mbeki every time he went somewhere after he became president? Of course not! It is really time for the Zuma camp to accept that Cyril Ramaphosa is now the president of the country, whether they like it or not. But what is becoming more and more apparent is that they see this as a temporary situation. Apparently the Zuma faction are still meeting, not only before NEC meetings to caucus, but also generally and with ex-president Zuma. Having lost faith in Deputy President David Mabuza, they are, according to some of those in the know, looking for a successor for Ramaphosa for when "they take the ANC back". Exactly when they will try and make a move is not clear, but there are a lot of whispers about a National General Council next year. But it will not be easy. Zuma’s advisors still believe that he is "universally loved" and that the nation shares in his belief and anger that the charges against him are a political plot. Even if that were true, Ramaphosa’s popularity, both inside and outside the ANC, is huge and without any doubt much, much bigger than that of Zuma. And as we have seen recently it is not easy to recall a president – even a hugely unpopular one.